The Group’s board comprises three executive directors and four non-executive directors, all of whom have considerable experience and formidable track records of success. They are supported by a strong executive management tier that combines deep experience gained from working with global technology vendors with high-quality expertise and continuity from long-term Kainos employees. Select a team member below for further information. In 2011 he was awarded a Doctorate by Queen’s University, Belfast for services to Commerce and Industry. John is a Fellow of the Institute of Management Accountants and has been in the Information Technology industry for over 50 years. 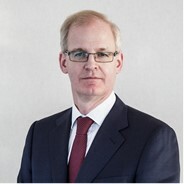 In 1997 he stepped down as Group Finance Director of ICL (now Fujitsu Services) after a long career with the group in which he worked in the UK, Europe, USA and the Far East filling roles in divisional management and various aspects of finance, including group CFO where he was responsible for acquisitions, disposals, start-ups and recovery programmes. John has been Chairman of seven start-up companies. Three have been sold profitably, one is mothballed, two continue to trade successfully (one on AIM) and he remains chairman of one. He is also a trustee director for a large pension fund. John acts as a Non-Independent Non-Executive Chairman and chairs the Nomination committee at Kainos. Studied Computer Science at University of Ulster. Awarded an honorary Doctorate (DSc.) for services to business development. Brendan joined Kainos in 1989 as a graduate software engineer before moving into a number of technical and commercial roles. Brendan was appointed Managing Director of Kainos in 2001. In addition to his role at Kainos, Brendan has been a Non-Executive Director at Meridio, Property News, the Probation Service for Northern Ireland and, until recently, was a serving Lay Magistrate. Brendan has over 25 years of technical, business development and management experience. Brendan is the CEO of Kainos responsible for setting the strategic direction of the company and for overseeing its profitable growth. Richard is a Fellow of the Institute of Chartered Accountants in Ireland and trained with Coopers & Lybrand, before moving in to industry with Galen Holdings plc. Richard joined Galen Holdings plc as financial controller of a start-up subsidiary in the US and subsequently became Senior Vice President in charge of Corporate Finance with responsibility for the organisation’s acquisitions and investor relations. He served as the Managing Director of two subsidiaries in the Almac Group, including a US subsidiary that provides software development services for pharmaceutical companies. Richard serves as the Chief Financial Officer and Chief Operating Officer. 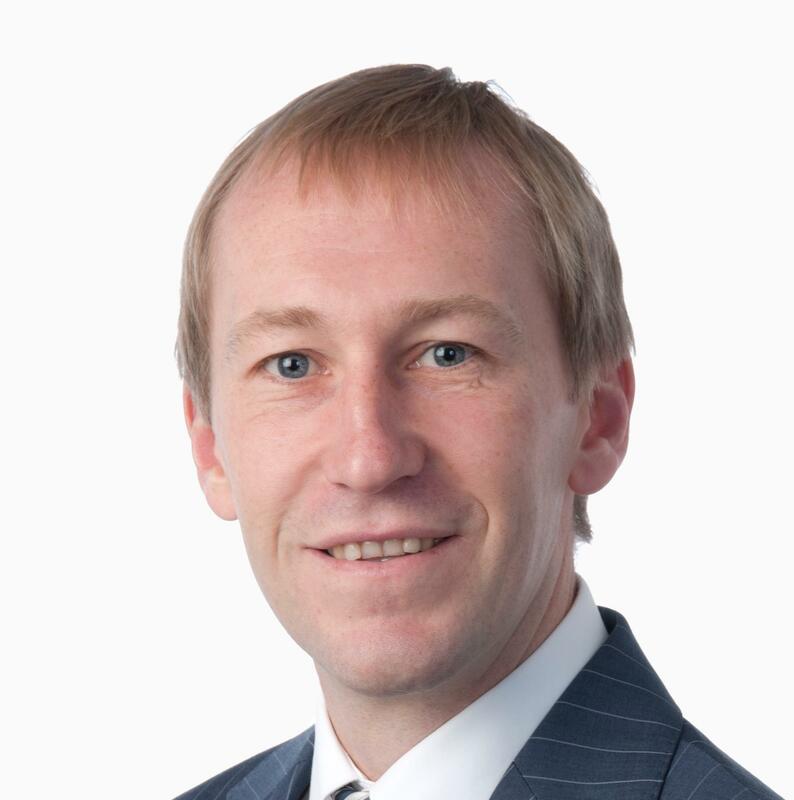 Richard joined Kainos in 2011, with over 20 years’ experience in accounting. Studied Engineering at Trinity College, Dublin. Before joining Kainos, Paul spent four years in a sales role with ICL in Dublin and prior to that worked as a management consultant for Accenture in London. He started his professional career working for Siemens in Munich. He joined Kainos in 1998 as the sales manager for Ireland. Paul subsequently took on a company-wide role in strategy and marketing. Paul is the Sales Director at Kainos, responsible for all product and service sales activities in Kainos. Chris holds an MA History from St Catharine’s College, Cambridge. Chris runs a board advisory business focused on digital transformation and has previously been the Managing Director of Accenture’s Telco, Media and Technology business in the UK; Accenture’s Telco Industry Managing Director for EMEA; Chairman and CEO of Digiplug (an Accenture Digital business); and Managing Director of Value Partners Group’s UK business. Chris acts as an Independent Non-Executive Director and sits on the Audit committee, Nomination committee and Remuneration committee at Kainos. Graduated with a BA (Hons) in Accounting and Finance from Lancaster University and a Fellow of the Chartered Institute of Management Accountants. Andrew (Andy) has over 30 years’ experience in the software industry covering both private and public companies, including approximately 20 years as Group Finance Director of Fidessa Group plc (formerly, Royalblue Group plc). Andy also served as Company Secretary of Fidessa Group plc for many years. In June 2018, Andy was appointed as an Independent Non-Executive Director and chair of the Audit Committee of accesso Technology Group plc. Andy acts as an Independent Non-Executive Director and Senior Independent Director (SID) and chairs the Audit committee. Graduated with an MBA from the University of Edinburgh. Tom is Executive Chairman of AIM company accesso Technology Group plc, a leading supplier of technology platforms to the global leisure and attractions market, serving over 1,000 clients in 22 countries. Previously he was Managing Director of Serco’s Defence Services division and Managing Director of QinetiQ’s consultancy business. He started his career as the UK’s youngest Army Officer serving in the Black Watch (R.H.R.) and is a member of the Queen’s Bodyguard in Scotland. Tom acts as an Independent Non-Executive Director and sits on the Nomination committee and Remuneration committee at Kainos. Graduated from Queen’s University Belfast and holds a BSc. in Computer Science. Currently studying Innovation Management at MIT Sloan. Tom is a 25-year tech veteran, and is the driving force behind many of Kainos’ most imaginative and successful customer and staff initiatives, including HealthHackEU, Kainos AppCamp, Code4Derry. Tom joined Kainos in 1990 as a Software Engineer and, subsequently took on roles in Support, Pre-Sales and Solution Architecture before being appointed CTO in 2005. Tom is Chairman of the University of Ulster Industrial Liaison Board, and is a member of the Industry Board of Manchester Connected Health. Tom is the Chief Technology Officer (CTO) at Kainos, responsible for advising customers on Healthcare IT, Enterprise Architecture and Applied Technology. Graduated from University of Ulster, Jordanstown in 1997 and holds a BEng in Software Engineering. Colette spent one year working for Microsoft in Dublin, before joining Kainos as a Software developer. Her career path has given her the opportunity to fulfil many roles within the business including a Software developer, Business Consultant, Team Lead, Project Manager, Talent Manager, and Head of Talent Development before taking up her current post of Chief People Officer in 2017. Colette is responsible for Recruitment, Staff Development, Training and Staff Assignments. Studied Engineering at Queen’s University, Belfast. Alumnus of Darden Graduate Business School, University of Virginia. Russell joined Kainos in 1999 as a software engineer. He worked as a team leader and manager before taking up a role as head of the Support business unit in Kainos. In 2012, Russell was charged with developing public sector business for Kainos, the largest and fastest growing area of activity in the company. In this role Russell leads a team of almost 500 staff, delivering digital transformation for central and devolved government in the UK along with the private sector organisations in the UK and Ireland. He is responsible for setting the strategic direction of the business, growing the customer base and developing long-term relationships through ongoing positive engagement and successful delivery of projects. Russell leads the Digital Services division for Kainos. Graduated from Queen’s University Belfast and holds an LLB Honours in Law, and an LLM in Law and Computers. Qualified as a Solicitor following completion of the LPC in the College of Law, Chester. Grainne joined Kainos in 2001 from a private practice background in PI and Commercial Litigation. She manages a busy in-house Legal team who have responsibility for contract negotiation and management; IP protection; commercial risk mitigation; commercial property, corporate governance and compliance. Grainne is head of Legal at Kainos. Peter trained as an accountant with KPMG in Edinburgh and is a Fellow of the Institute of Chartered Accountants in Scotland. Peter joined Kainos in 2015 and is responsible for all statutory and plc reporting requirements, financial management reporting and all aspects of corporate financial planning. Prior to joining Kainos, Peter worked for FinTech company FNZ in Edinburgh, New Zealand and Australia in positions including financial controller, regional COO and CFO. Peter serves as the Deputy Chief Financial Officer at Kainos. Studied Computer Science at Queen’s University, Belfast. Nigel joined Kainos in May 2013 to lead its healthcare business, primarily focussed on Evolve. Nigel started his career at Kainos in 1988, before leaving to join records management company Meridio, which was established as a spinout from Kainos in 2001. Following the acquisition of Meridio by Autonomy in 2007, Nigel became Senior Vice President EMEA, responsible for growing revenue for a major part of Autonomy’s enterprise software portfolio across the region. Nigel brings a wealth of experience to Kainos having helped both public and private software organisations achieve sustained growth and build value. Nigel is the head of the Evolve division in Kainos, responsible for all activities in the Healthcare market. Graduated from Queen’s University Belfast with a BSc. in Computer Science. Mal joined Kainos in 1989 as a software engineer. He worked as team leader, project and programme manager before leading the Kainos Insurance business in 2002. In 2010, Mal was appointed head of the Workday business unit and charged with establishing Kainos as a leading Workday implementation partner in EMEA. Mal has played a key role in overseeing the successful launch in 2013 of Kainos Smart, an automated testing tool for Workday implementations. Mal leads the Workday Implementation Services division for Kainos. Graduated from the Warsaw University of Technology, Electronics and IT Department. Stephan (Szczepan) joined Kainos in 2007 as a Solution Consultant in the Dublin office. Previously, he worked as systems designer in France Telecom in Paris. Since 2009, Stephan has led the Gdańsk operation, a product and services delivery centre for Kainos. In his role, he leads over 100 staff, making sure that the growth of the Gdańsk office talent pool follows the company growth and addresses the skills gap. Stephan is Head of Gdansk operations for Kainos. The Board contains three main committee groups detailed below.